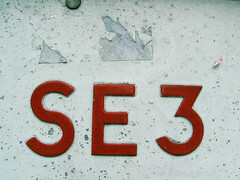 South-East London postal district covering Blackheath and Kidbrooke, within the London Boroughs of Greenwich and Lewisham. Last edited 2008-04-11 13:04:46 (version 9; diff). List all versions. Page last edited 2008-04-11 13:04:46 (version 9).